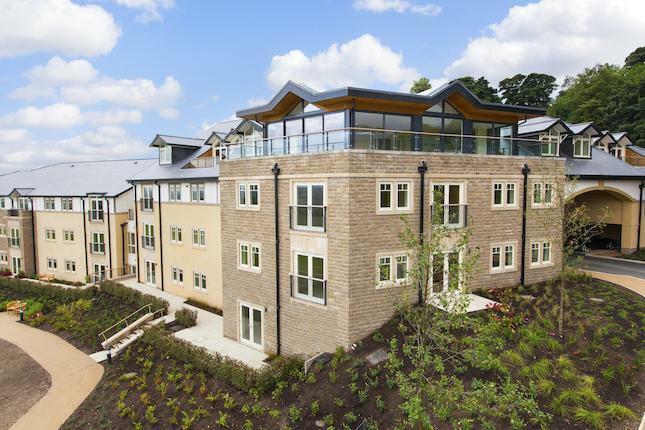 Audley Clevedon Luxury Retirement Village. This 23-acre estate and gardens nestles amongst the glorious Yorkshire Dales in the village of Ben Rhydding, just two miles from the beautiful spa town of Ilkley. At the centre of Clevedon retirement village you will find Clevedon House. What was once a Victorian schoolhouse for boys is now the carefully restored centrepiece building of Clevedon retirement village, re-built stone by stone to house the acclaimed Clevedon Restaurant (fast gaining a reputation for fabulous seasonal and locally-sourced food), the bistro, lounge/library, swimming pool and health & wellbeing centre as well as luxury apartments. Step outside Clevedon House and you will discover the rest of Clevedon, a development of over 90 new apartments. Each home has been designed to the highest standard and many have a view over the spectacular Wharfe Valley that lies just beyond – boasting a variety of rare wildlife, including owls and deer. Ilkley - The Dales at their finest With beautiful Victorian architecture, wide winding streets and pretty floral displays, the spa town of Ilkley is a perfect destination, lying just two miles from Audley Clevedon and Ben Rhydding. Lured by its magnificent history and wonderful location, Ilkley has long been a destination for famous Britons. Charles Darwin rented accommodation in the town to escape attention prior to the publication of his Origin of the Species – and author Jilly Cooper and gardening expert Alan Titchmarsh grew up in the shadow of the Cow and Calf rocks, a famous rock formation on the Ilkley Moor. As well as famous connections, Ilkley has a wonderful array of specialist shops and galleries, award-winning parks, sports clubs and modern supermarkets. And should you wish to soak up the local culture, there is also a theatre, museum, concert hall and library to visit. Plus throughout the year the town plays host to numerous literary and artistic festivals. Luxury health and beauty at the heart of each village. When you move to one of our luxury retirement villages, you automatically become a member of the Audley Club. It is on your doorstep, part of the village and yours to use as you please. You can also use the facilities of the Audley Club at any of our other retirement villages, plus your family and friends are welcome to use them with you.